Welcome back to my book launch party to celebrate the release of my newest book, Frederick Douglass for Kids! As I mentioned in yesterday’s post, my husband Jeff and I drove through the countryside of Maryland’s Eastern Shore to take photographs of where Frederick Douglass was born. When Douglass was born into slavery, he was the property of an overseer who lived near the main house (called Wye House) on a large and prosperous plantation owned by Colonel Lloyd. 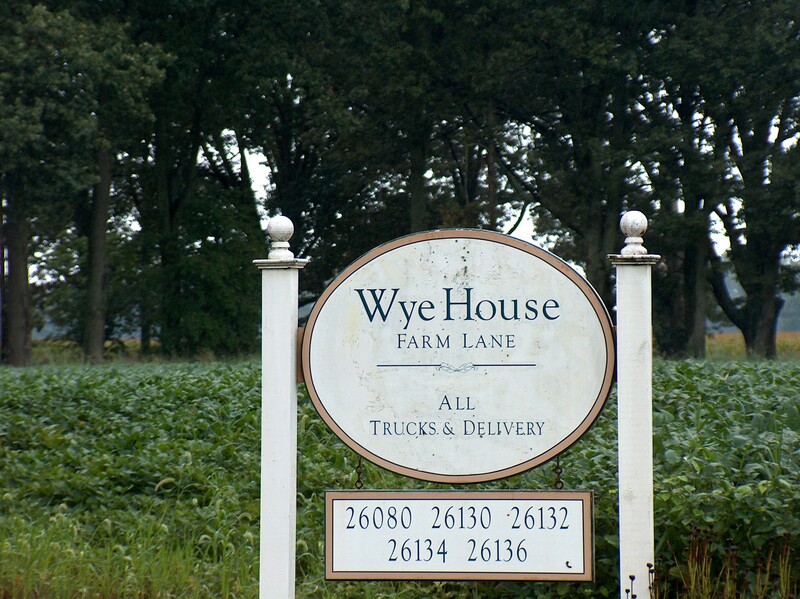 Wye House still stands today and descendants of Colonel Lloyd still live there. The owners of Wye House were very gracious to allow Jeff and me to drive onto the plantation and take pictures of the house and grounds. We had called beforehand to ask them if we could drive onto the private property and they were very willing to help me with the work I was doing. 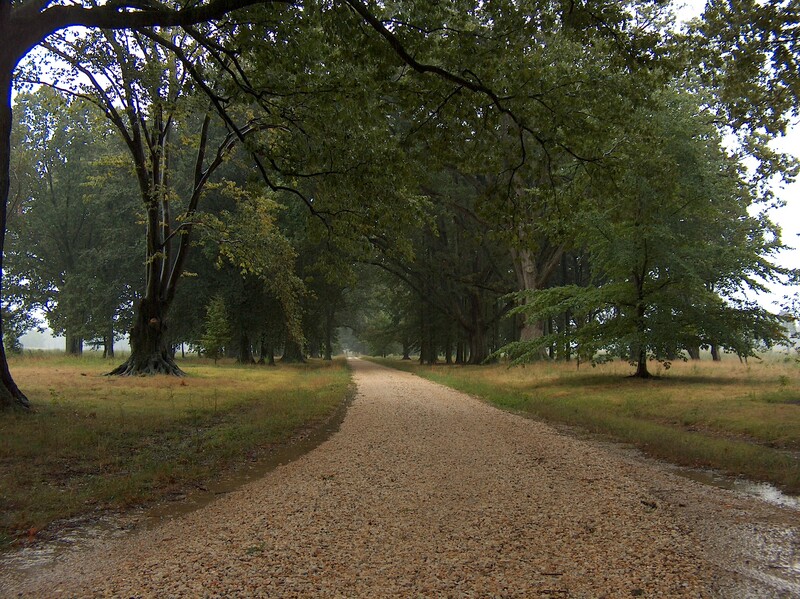 It was a deeply moving experience as Jeff and I entered grounds of the former plantation and drove down the lane under the ancient trees. It was just as Frederick Douglass had described it in his autobiography about the days he once lived there. White pebbles from the beach covered the lane and stately trees arched overhead. By the time we had reached the house, it was pouring down rain. 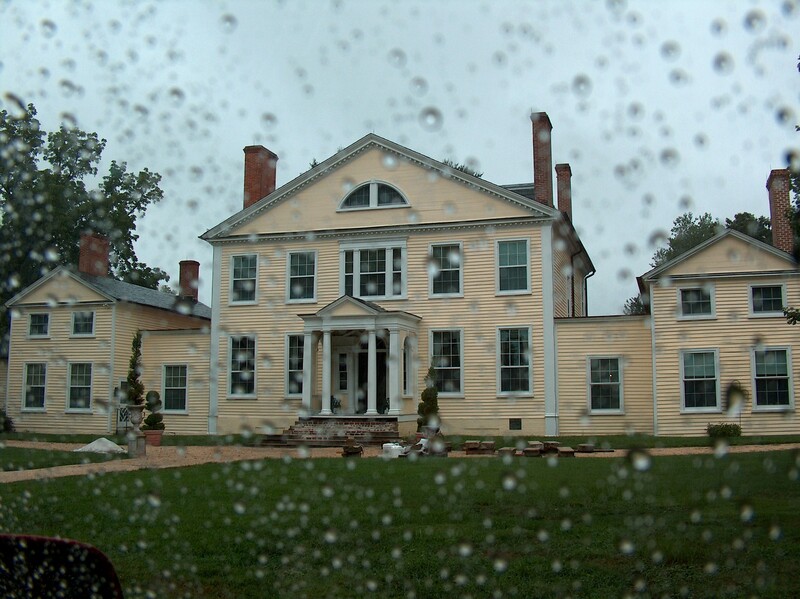 I snapped this picture through the car window as we waited hopefully for the downpour to stop. It didn’t. So I quickly rolled down my window, snapped a photograph of the beautiful old house, and hoped it would be a clear enough image to use in the book (and not covered by rain). It was! 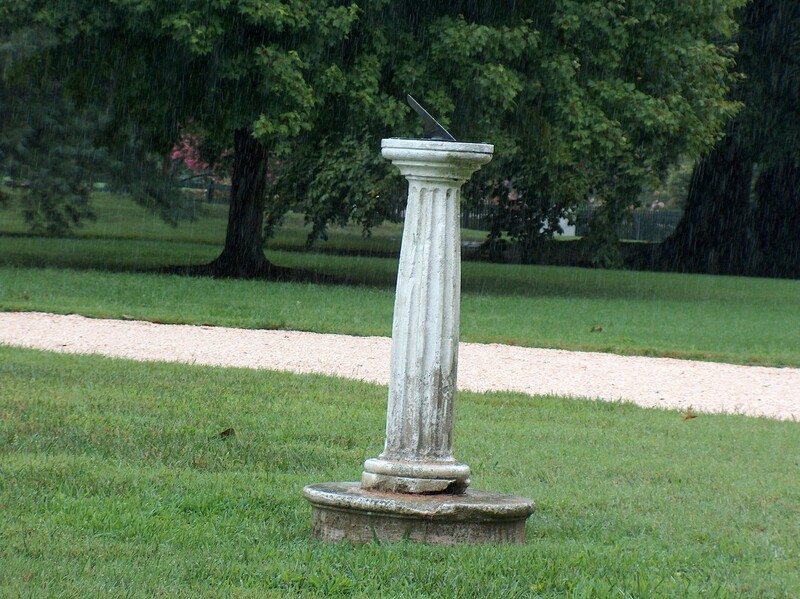 Before we drove away, I also snapped a photograph of the sundial on the front lawn. It seemed a haunting reminder of older days, time long gone by, when Frederick Douglass lived and worked on this plantation as a slave. When he grew up and became a man, he escaped to freedom and dedicated his life to bringing an end to the slave trade. Eventually after the Civil War abolished slavery in America, Douglass returned to this very plantation to walk inside Wye House and visit with Colonel Lloyd’s great-grandson as an honored and free guest. Today, the descendants of Colonel Lloyd work to help keep the fires of freedom burning by supporting archeological digs on their grounds and welcoming biographers such as myself to photograph their home. If you’d like to see lots more photos and read more about Frederick Douglass’s life on this plantation and his journey back as a freeman, you can read about it in my book, Frederick Douglass for Kids. Purchase it for your own use or as a gift for a child or teacher you know. It’s available for purchase on Amazon. Today’s stop on my virtual Book Launch Party is at the fun and informative site of children’s writer, Susan Uhlig. Visit her site to learn more about Frederick Douglass as well as the process it takes to write a nonfiction book for kids. And yes! We have prizes to celebrate my book launch party! Yes!!! And the first prize is this: A free critique and evaluation of a 1-page query or cover letter for your book. Learn about Frederick Douglass, a true American hero. Purchase Frederick Douglass for Kids today. Available at Amazon. After you help shout out the word today, e-mail me at jeffandnancys@gmail.com (or post a comment here) and I’ll put your name in the hat another time, too! Entries close at 10:00 pm PST today. After that, I’ll draw out a winner to receive a free critique of your query or cover letter and announce the winner tomorrow on Wednesday, June 6 here on my blog. I tweeted on Twitter. Good luck with your new book, which I read about on NF for Kids–can’t wait to read it as I also write bios! Thanks for helping to spread the word, Nancy! And how exciting that you also write bios. Isn’t it fascinating to learn more about these people who make such a difference in our world? !